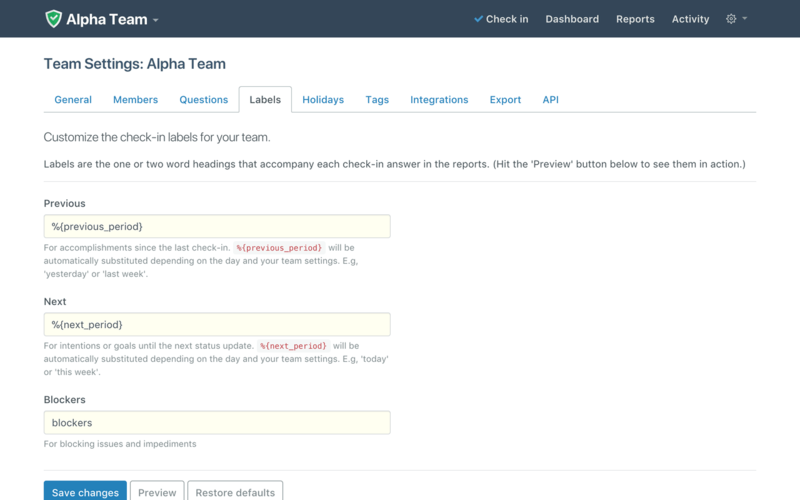 Want to customize the check-in labels for your team? (These are the labels that appear for each check-in answer on the report pages.) Just go to Team Settings - Labels. You can customize and preview each of the labels.